Three Southwest Kansas Art Galleries are working together to create an art event. 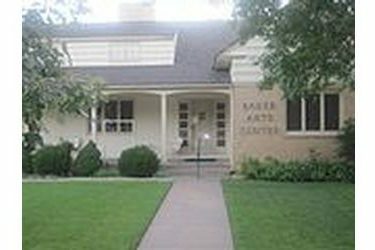 The Main ARTery in Ulysses, Garden City Arts in Garden City and Baker Arts Center in Liberal are hosting "Art on the Gogh". Saturday, November 22 from 10:00 AM to 4:00 PM. SEE WONDERFUL ART The galleries are inviting you to visit their facility, view their display and travel to the next town and the next gallery. You can start at any gallery and finish at any gallery. Garden City Arts will feature the 2014 Dia De Los Muertos Art exhibition. The Main ARTery will be displaying their Holiday show themed "Fire and Ice". Baker Art will have a display of glass art by John McDonald. MAKE A COLLAGE PROJECT If you choose, you can participate in a progressive art creation. The art project will be a "Keepsake Box" collage project using the various materials provided by each gallery. The idea is that participants will begin the box at the first gallery they visit, and take it with them to the next gallery and collage more items on it and complete the box at the last gallery they visit. There will be a small fee to make the project. Visiting these galleries is always free.
. "I already made a sample "Keepsake Box" – what a fun project!" states Jeani Gustafson of the Main ARTery.